The Board of Directors of the Tucson Airport Authority on Monday authorized a new lease agreement with Raytheon Missile Systems (Raytheon) and voted to exercise the option to extend Tucson International Airport’s lease and operating agreement with the City of Tucson by another 25 years to 2098. The actions are integral to the cooperative efforts being taken by TAA, the Governor and Arizona state officials, City of Tucson, Pima County and others to pave the way for Raytheon to expand its operations at Tucson International Airport. “The Tucson Airport Authority couldn’t be more excited that our 65-year partnership will continue with this commitment from Raytheon to expand and grow in our region,” said TAA President and CEO Bonnie Allin. Under the new agreement, Raytheon’s nine leases with TAA will be consolidated into one. It will include an additional 21 acres of land adjacent to 183 acres Raytheon has under its existing leases. The initial term for the new lease is 30 years with options for up to an additional 30 years. 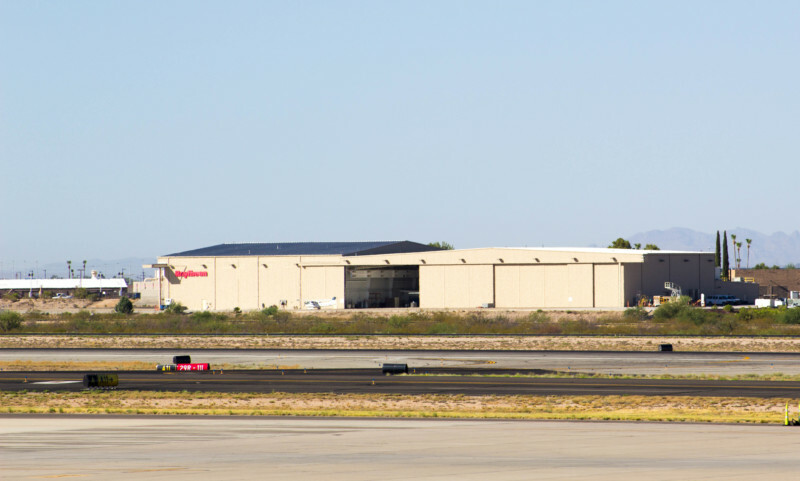 To accommodate the potential 60-year lease extension, the TAA Board also agreed to exercise the option to extend Tucson International Airport’s lease and operating agreement with the City. In 2015, the City and TAA agreed to a lease extension to 2073. Under this latest extension, the airport’s lease will go to October 14, 2098. Originally, as Hughes Aircraft, Raytheon began its Tucson operation in 1951. It has been leasing airport property since 1956 when the TAA helped finance construction of a building expansion on the site. Raytheon acquired Hughes Aircraft in 1997. Raytheon has announced it plans to add nearly 2,000 high-paying jobs as part of its expansion that is projected to generate an economic impact of $7.9 billion over the next 10 years.